Royalty-free stock illustration of a sweating man with a towel around his nech, drinking water to stay hydrated after an intense workout. Royalty-free stock illustration of a blond man looking happy as he prepares a whey protein shake drink shortly after an exercise. Royalty-free stock illustration of a fit African-American man looking happy as he realizes he can no longer fit in his old shorts. 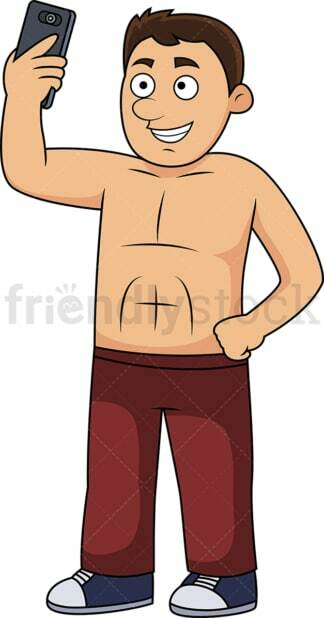 Royalty-free stock illustration of a man without a t-shirt on and his abs showing, looking happy as he takes a photo of himself with a mobile phone. Royalty-free stock illustration of a muscular fit man preparing fresh fruit juice with a shaker while standing behind a counter, smiling and looking happy. 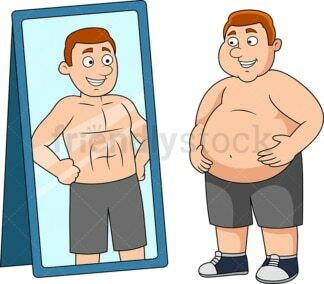 Royalty-free stock illustration of an overweight man holding his big fat belly in front of a mirror and smiling as he stares at his fit reflection, imagining himself thin with abs. 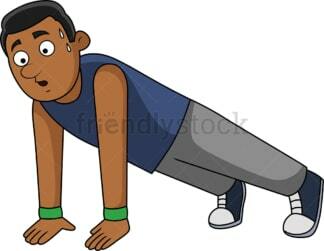 Royalty-free stock illustration of an African-American man sweating as he tries to do a push-up. 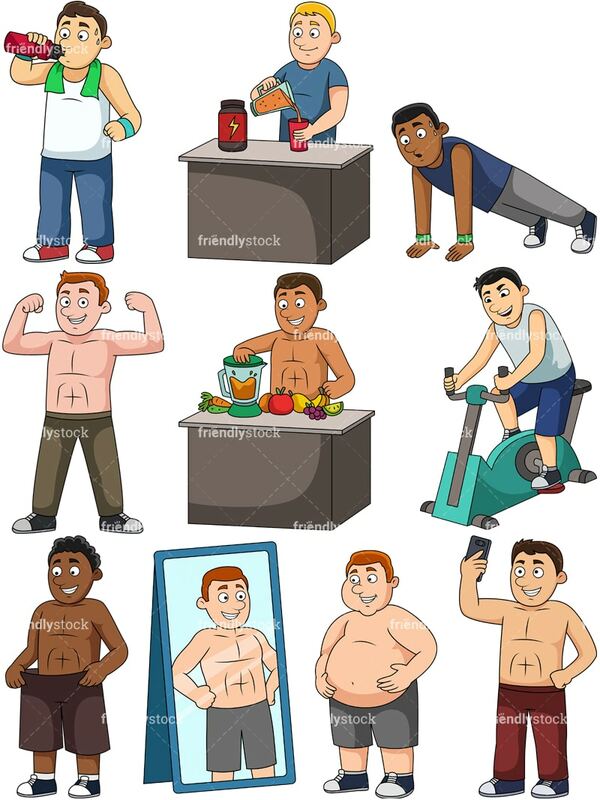 Royalty-free stock illustration of a man during a workout at the gym, riding a stationary bike. 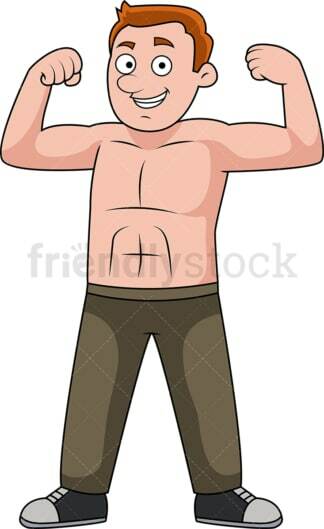 Royalty-free stock illustration of a man without his t-shirt on, with his abs showing, looking happy as he flexes his muscles.